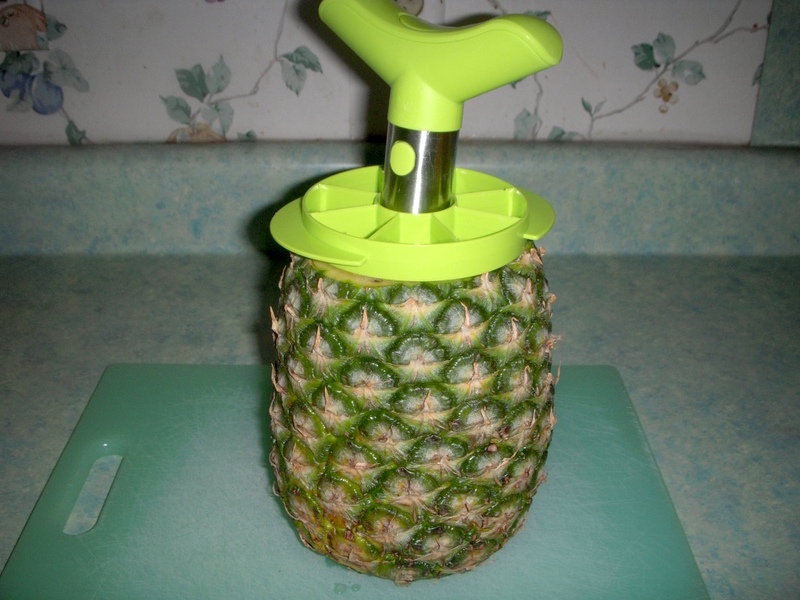 This handy tool is a pineapple slicer. 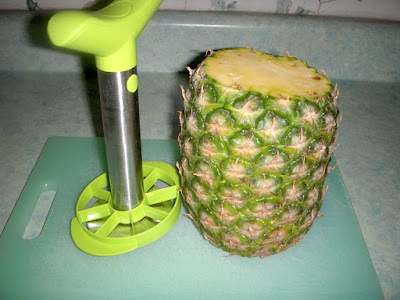 You can slice a pineapple without it, but it makes the job a lot faster and easier. 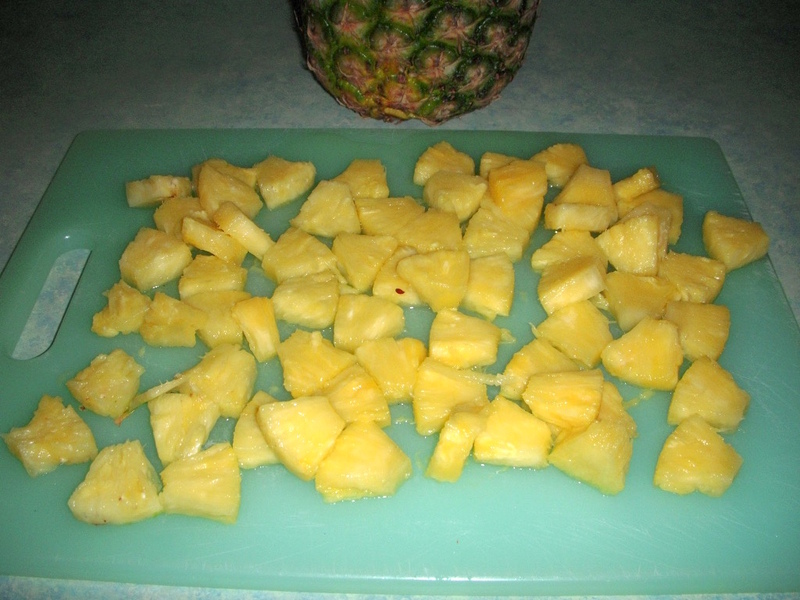 Fresh pineapple is more succulent than canned or frozen. Like the latter, it's also available year round, but you have to be selective. The notion you can pull a leaf out of a fresh pineapple is a myth. The best way to choose a pineapple -- like many aspects of cooking -- is with your senses. Look for a yellow or yellow gold pineapple without bruises. Avoid a pineapple that's too green; it won't ripen well. The leaves on the top -- the crown -- should be green without any brown tips. Feel the pineapple to make sure it's heavy -- a good indication of juice -- and will yield slightly to gentle pressure. You don't want the pineapple to be too hard or too soft. Most importantly, smell the pineapple. If there's little or no aroma -- or it smells bad -- don't buy it. Fresh pineapple is delicious to eat by itself, but it's also a good addition to fruit salad. However, fresh pineapple can't be used in congealed salads. Fresh pineapple contains an enzyme that prevents gelatin from congealing. If you want to use pineapple in a congealed salad, use canned pineapple instead. Once you purchase a pineapple, you need to use it within a few days. 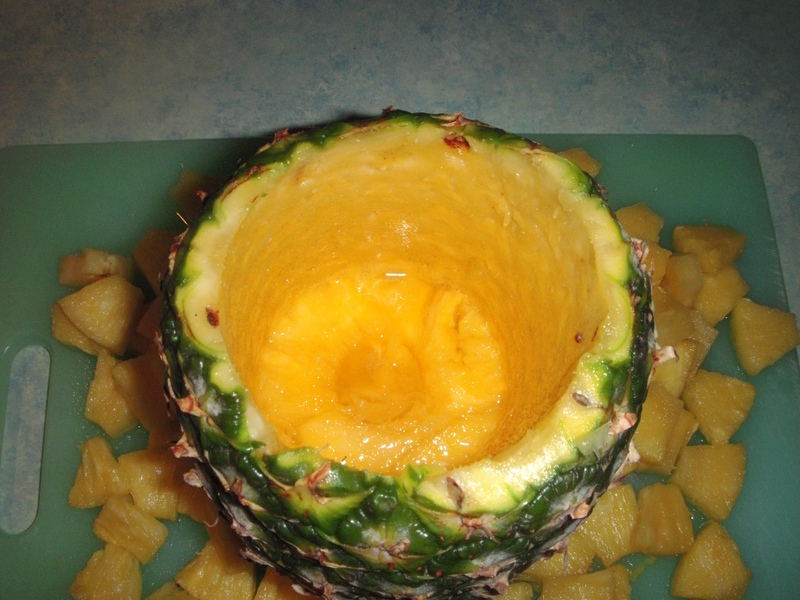 Slice the pineapple and keep it stored in a covered container in the refrigerator. 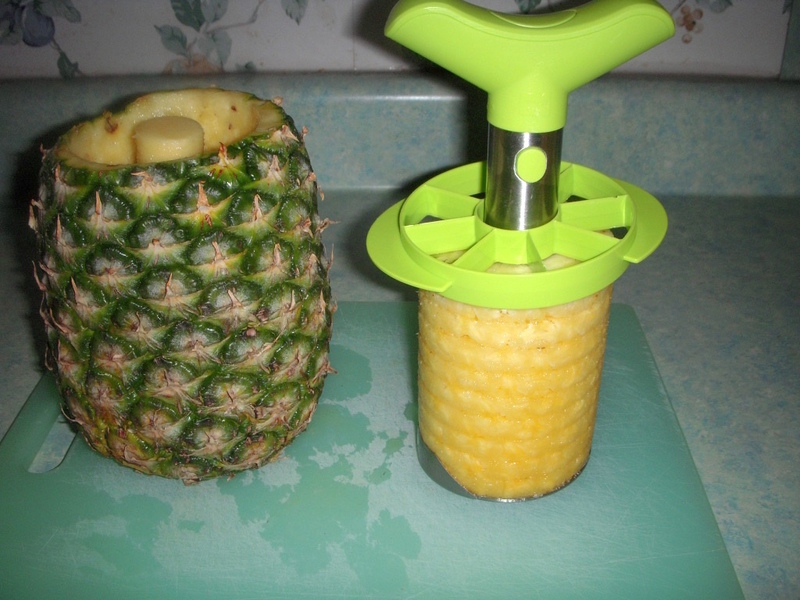 If you eat a lot of fresh pineapple, a pineapple slicer is a time saver and isn't very expensive. To use the slicer, slice the crown off the pineapple. Center the slicer over the core. Push the slicer into the flesh and turn the handle, screwing the slicer into the pineapple. The slicer acts like a corkscrew while also separating the flesh from the core. 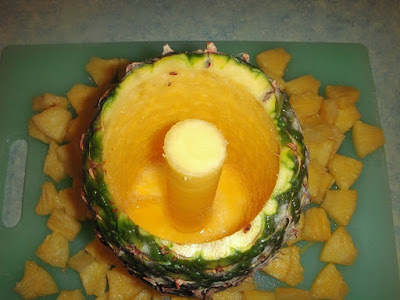 Remove the slicer and you'll have pineapple that resembles rings. The version I have came with a wedger so, with one quick motion, I can cut the rings into chunks. You can use a knife to do the same thing. If you're serving the pineapple chunks right away, use the pineapple shell as a serving bowl. Just make sure there's no hole in the bottom. The core will still be attached in the shell, but you can cut it out with a knife and scrape any remaining out with a spoon. The next time you buy pineapple, skip the canned and frozen and give fresh a try. Check back next week for an entree -- it's not pork -- that goes great with fresh pineapple.